Another one of Hanoi’s Kilo-class subs is expected to arrive soon. The fifth of the six Kilo-class submarines that Vietnam bought from Russia left a Danish port on Sunday heading for Vietnam, local media outlets reported December 21. According to Thanh Nien News, the HQ-186, delivered by Dutch-registered cargo ship Rolldock Star, left from Russia’s St. Petersburg and arrived at the Port of Skagen in northern Denmark on December 19. It is scheduled to arrive in Singapore on January 29, 2016 before arriving in Vietnam, with the journey taking one and a half months. As I reported for The Diplomat earlier this year, the HQ-186 had undergone a trial run in the Baltic Sea on June 8 and was expected to arrive in early 2016. The fourth submarine, codenamed HQ-185 Da Nang, had arrived at Cam Ranh Port back in July (See: “Vietnam Gets Fourth Submarine From Russia Amid South China Sea Tensions”). 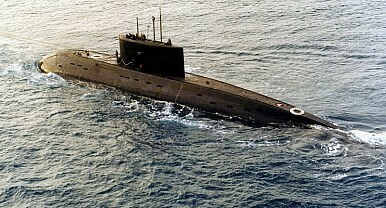 The submarines are part of a deal Vietnam reached with Russia’s Admiralty Shipyards for six Project 636 Kilo-class diesel-electric submarines for $2 billion back in 2009. Under the agreement, signed during Prime Minister Nguyen Tan Dung’s visit to Moscow that year, Russia agreed to provide the submarines, train Vietnamese crews, and supply necessary spare parts. The latest delivery comes amidst simmering disputes in the South China Sea, where both Vietnam and China are claimants alongside the Brunei, Malaysia, the Philippines, and Taiwan. Just last week, Vietnam protested China’s building of a filling station and schools on Woody Island, part of the Paracel Islands which Beijing seized from Hanoi back in 1974. Separately, Reuters reported last week that Vietnamese officials had said that the first Kilo-class submarine had begun patrolling the South China Seam, which it billed the first confirmation of their involvement there. As I had reported earlier, the Kilo-class submarines are some considered to be one of the quietest diesel submarines in the world, and are designed for anti-submarine warfare and anti-surface-ship warfare. Several analysts, including Carlyle Thayer at The Diplomat, have explored how Vietnam People’s Navy (VPN) may use them to counter Chinese naval capabilities in the South China Sea. How Will New Subs Affect Vietnam's South China Sea Strategy? New subs might not be enough for Vietnam to defend its South China Sea claims.